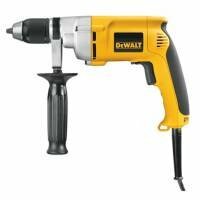 1/2" Heavy Duty Variable Speed Reversible Drill, Two Finger Soft Grip Trigger, Helical Cut Steel Heat Treated Gears,360 Degree Side Handle, Keyless Chuck, 7.8A, 0-600RPM, 600W. this is a good drill. I have slowly moved more toward keyless chucks. they are a lot easier to use and i keep you from fuddling with a key or losing it. Very durable. it also comes with a warranty and the trusted dewalt name. 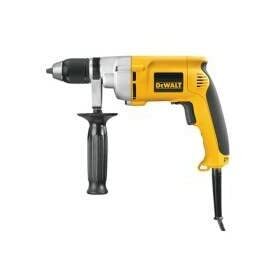 the double handle grip makes it easier to drill straighter and hold it steadier.